How Green Is Your Kitchen? A recent report has detailed startling new research identifying the hospitality trade as the worst culprits for leaving appliances on when not in use. The research, carried out by energy company E.ON, showed that 57% of all catering or hospitality businesses are the most likely to leave their catering equipment on. Another significant find from the research found that 42% of small businesses in the industry use outdated or inefficient appliances and half overuse their catering equipment or machinery. An unsurprising find from the survey was that roughly one third of restaurants, pubs and bars overuse air con, lighting and heating, in many cases to attract more custom. How many times have you noticed the lights on in a long-closed restaurant or felt the immense heat from the door heaters of a pub on a cold day? This is a case of prevention being better than cure and at Space Catering we aim to install green, sustainable catering equipment to help our customers save on energy bills (usually the highest overhead after labour) and reduce their carbon footprint. Space Catering has long been a pioneer in promoting green foodservice solutions and was the winner of the first national ‘Foodservice Footprint Award’ for the ‘Most Sustainable Foodservice Installation’. In 2008 Space introduced the Green Footprint initiative. This innovative scheme indentifies equipment with environmentally-friendly attributes early in the design process. The result is better design and performance with installations that actually help to improve resource efficiency and reduce operating costs in real terms. 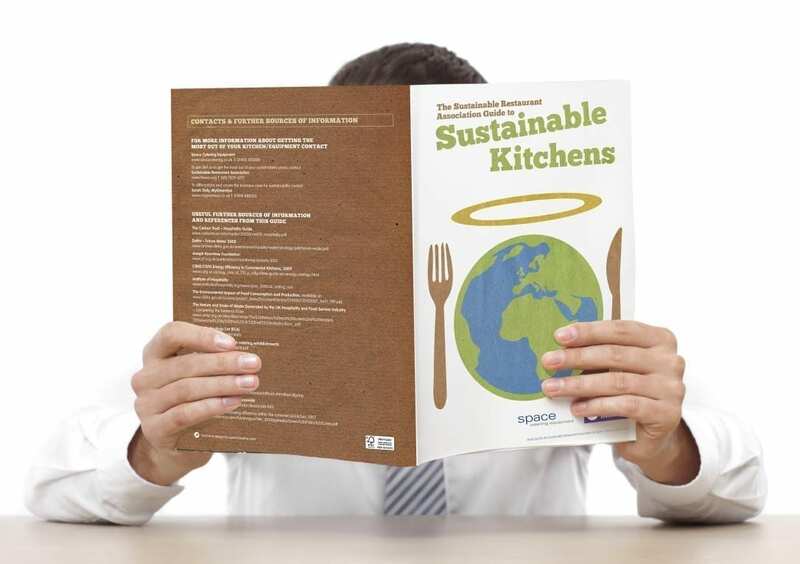 In addition to the above, Space, in conjunction with the Sustainable Restaurant Association, has produced the Sustainable Restaurant Association Guide to Sustainable Kitchens. Packed with information, tips and advice, this guide gives restaurant caterers/operators an insight into the opportunities for better purchasing and practice. To learn more about the Green Footprint Initiative and the Sustainable Restaurant Association Guide to Sustainable Kitchens click here.